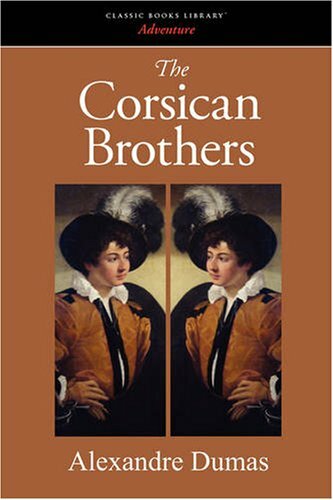 The Corsican Brothers, a short novel by Alexandre Dumas, was originally published in 1844. The narrator of the story is Dumas himself, or at least a famous Parisian author named Alexandre. The well-crafted story, inviting atmosphere, and camaraderie among the characters provides for a pleasant and amusing read. Taking the Bastile is the fourth in Dumas' six book series retelling the French Revolution. The book retells the events leading up to the storming of the Bastile through the POV of Ange Pitou a young orphan and his comrade in arms the farmer Billot. Two decades have passed since the musketeers triumphed over Cardinal Richelieu and Milady. The fantastic adventures of the Three Musketeers continue - starting with an intrigue surrounding D'Artagnan who has, for twenty years, remained a lieutenant. Ten Years Later is the third and last of the d'Artagnan Romances, following The Three Musketeers and Twenty Years After. The principal heroes of the novel are the musketeers. The narrative of this novel is set between 1660 and 1673.